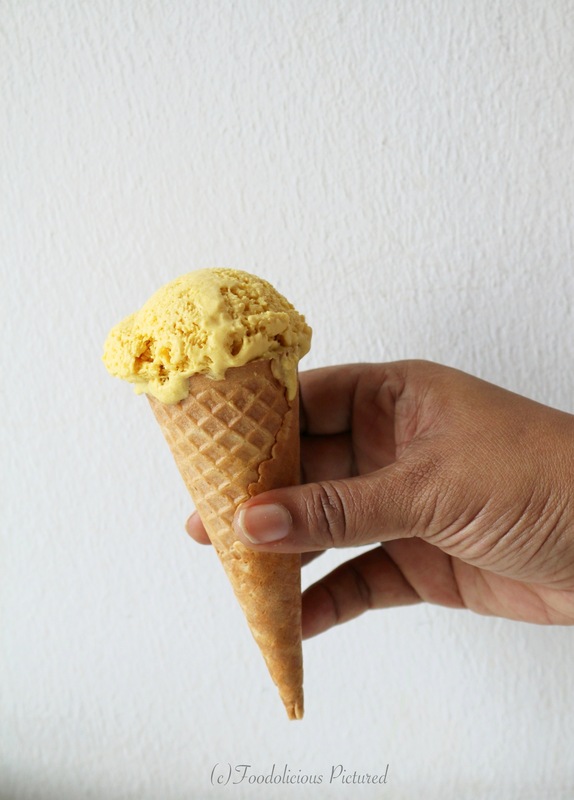 I love ice cream, mango is one of my favorite fruits, coconut/coconut milk is an integral part of the food culture I grew up on, and I am a huge fan of Thai cuisine. Not often you get a chance to do something which is a lovely blend of all the aforesaid! 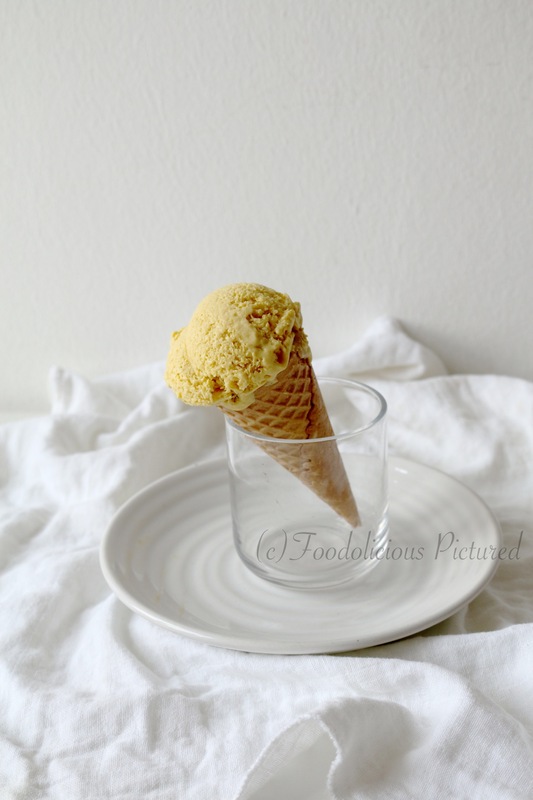 Presenting the Thai mango coconut milk ice cream – the name says it all; the subtle sweetness of mango, the prominent yet soothing flavor of coconut milk, and a bit of saffron which I added for that Indian twist, all fused into that one scoop… Just perfect!!! Place the mangoes, coconut milk, saffron, sugar in a blender and blend till smooth. Pour the mixture into an airtight freezer safe container and freeze for about 1 hour or till just set. Remove and beat with an electric beater for a couple minutes and return to the freezer. Repeat this process 3-4 times for 2 to 3 hours. This is to ensure that no crystals are formed and the ice cream is creamy. Into the freezer for a final freeze to set for 6-8 hours or over night undisturbed. Please adjust the sugar depending on the sweetness of the mangoes. 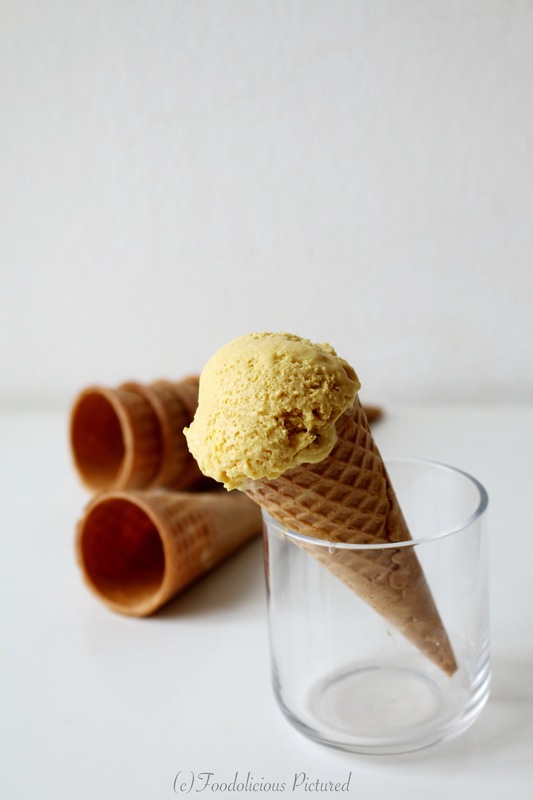 You can use an ice cream maker. Follow the manufactures instructions. Your are my savior! 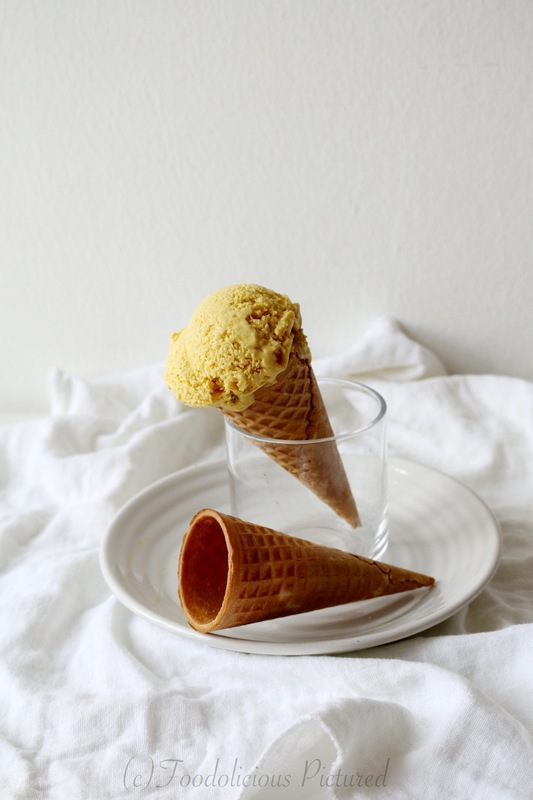 ❤ I have been craving ice cream but cant have them due to diary restrictions… Have been seeing icecreams with coconut milk but at the end they all need to go into an ice cream maker, which I don't have… This one is bookmarked, looks so perfect! Shall I take the MRT now? I need this ice cream. wow! 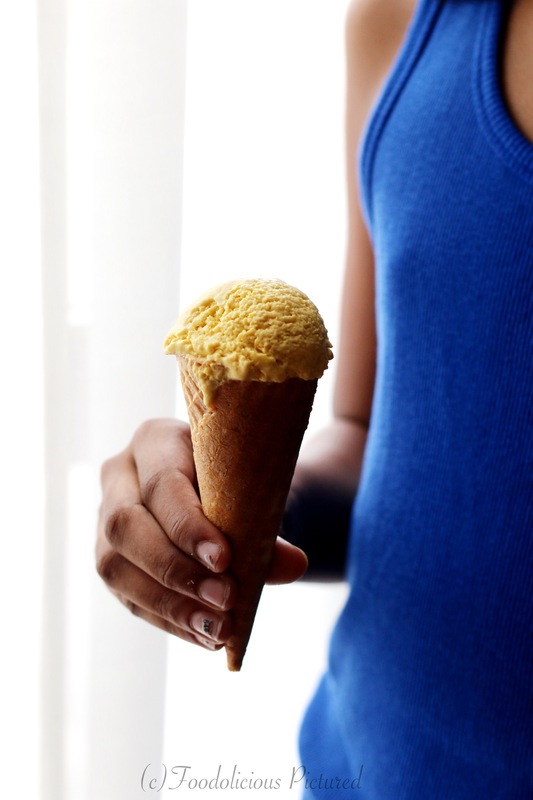 looks amazing.. pass me that cone! Wow! What a great flavour ice cream.